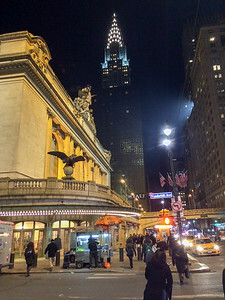 We made a long-weekend trip to New York City to see some of the sights and attend a Broadway show. 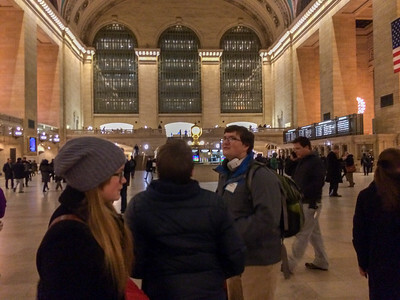 I didn't take many photos on this cold and snowy weekend, but it was a fun trip! 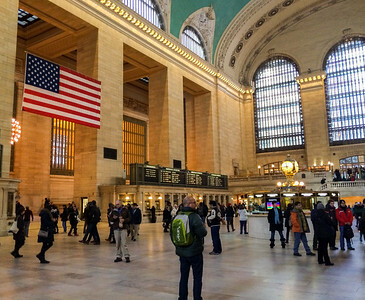 Grand Central Station, New York. 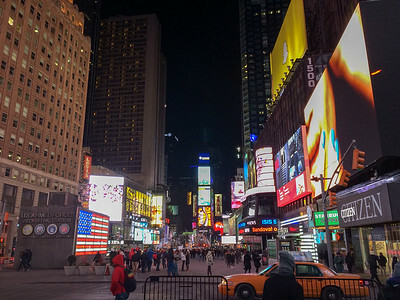 Times Square, New York City. 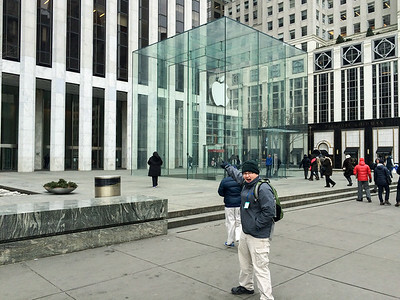 Apple Store, Fifth Avenue, New York City. 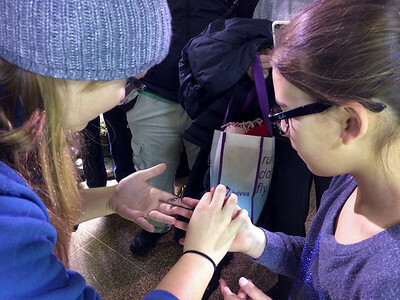 Mara transfers a butterfly to another guest at the Butterfly garden, Museum of Natural History, New York City. 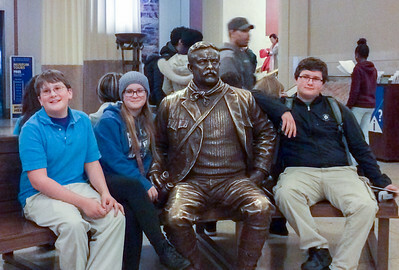 Sitting with Teddy Roosevelt, Museum of Natural History, New York City. 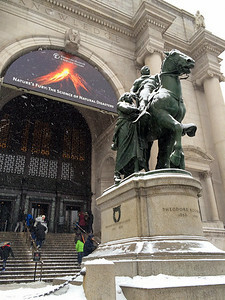 Teddy Roosevelt in the snow outside Museum of Natural History, New York City. 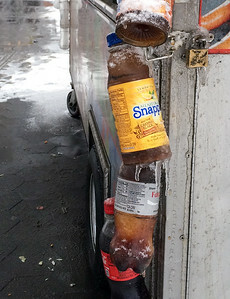 Frozen beverages on a food cart in New York City. 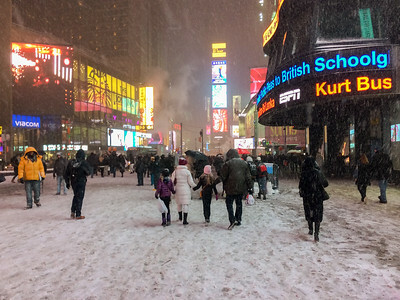 Snow in Times Square, New York City. 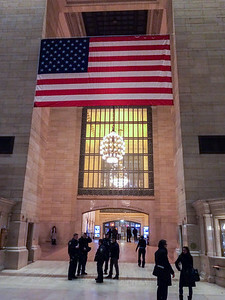 Grand Central Station, New York City.